I am a native Minnesotan, born in Minneapolis and grew up in Fridley. I obtained my undergraduate B.S. degree (2005) in Biology at the University of Minnesota and followed up with my DDS degree (2009) and specialty training in prosthodontics (2012), also at the University of Minnesota. I am a member of the American Dental Association, the Minnesota Dental Association, a fellow of the American College of Prosthodontists, and a diplomate of the American Board of Prosthodontics. I also serve as clinical faculty at the University of Minnesota School of Dentistry where I teach prosthodontics to dental students and dental residents. In addition to being able to offer comprehensive prosthodontic treatments, I have a special interest in implant dentistry, particularly implant-supported dentures and other implant-supported prostheses that involve the entire jaw or both jaws. I believe the specialty of prosthodontics is a unique fusion of art and science. We seek to recreate what nature has given us. Working with colleagues and patients to restore lost function and aesthetics is a very rewarding experience. I truly feel that I have the best job in the world! When I am not practicing prosthodontics, I am spending time with my wife, Laura, my two young sons, Cody and Alistair, and our two dogs, Rory (a Maltese) and Yomi (a Shiba Inu). I enjoy hiking, camping, Olympic recurve target archery, bow hunting, photography, and golf. Dr. Bassas brings 20 years of experience in Implant Dentistry to Prosthodontic Associates. 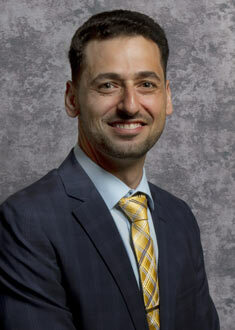 Dr. Saad Bassas is Board Certified in Prosthodontics as well as Oral Implantology/ Implant Dentistry. He is among only a handful of Prosthodontists in the United States who completed dual residency and training in Oral Surgery and Prosthodontics, which makes him highly and uniquely qualified in both placing and restoring Dental Implants. In addition, Dr. Bassas is specially trained and licensed to offer IV sedation for the comfort of all patients who desire this service. He performs hundreds of implant and bone graft procedures per year, which has made him a leading expert in the field. His concern, enthusiasm and passion for implant dentistry sets him apart from many of his peers. He has been living and practicing Dentistry in Minnesota since 2003. He is a Diplomate of both, the American Board of Prosthodontics “2017” and the American Board of Oral Implantology/Implant Dentistry (ABOI/ID) “2009”. When Dr. Bassas obtained his Diplomate status in 2009, only 359 dentists, since 1969, in the United States have passed this rigorous Board Certification process. This honorable title makes him extremely well qualified in all dental implant and bone grafting procedures. Dr. Bassas also holds the title of MASTER in the College of Sedation in Dentistry. Dr. Bassas received his Doctor of Dental Surgery from Aleppo University, School of Dentistry in 1998 where he ranked first in his class. He then completed an Oral Surgery Residency and Graduate Studies at Damascus University, where he also served as Chief of Residents. Because of his special interests in Implants & Aesthetic Dentistry, he completed the Maxicourse in Oral Implantology at New York University as well as the Postgraduate Program in Esthetic Dentistry at the University of Minnesota. Dr. Bassas started in 2003 as an Associate Dentist at Health Partners Dental in St. Cloud prior to opening his private practice in Sartell in 2006. 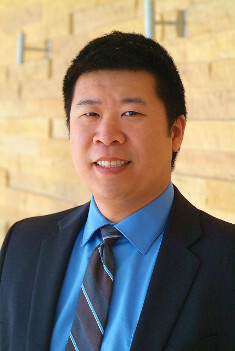 Despite all the extra training, knowledge and experience he had gained practicing Oral Surgery, Implant and Restorative Dentistry for 15 years, his enthusiasm and interest for more intense education and expertise, pushed him to go back to school at the University of Minnesota, where he attended the prestigious program of Advanced Education in Prosthodontics. Dr. Bassas, his wife Rihab and their daughters Sarah (12), Leena (9) and Jenna (4) have been living in Minnesota since 2003. They love the family friendly atmosphere and warmth of the community. His favorite activities include bicycling, soccer, swimming and traveling. He also enjoys history, architecture and music. “I’ve visited many states in the US, but to be honest, Minnesotans are truly warmhearted and friendly which makes me even prouder. It is a great place to work, live and raise a family”. Dr. Chong and the staff at Roseville Prosthodontic Associates continue to render the best dental-related care I’ve ever experienced in over 25 years. I find Dr. Chong very competent and trustworthy in diagnosing and treating from routine to advance prosthodontic cases. They provide exceptional preventative and corrective procedures and along the way, make visiting with them an experience I truly enjoy. Under their professional care, check-ups have gotten better and better as well, due to their dental maintenance tips and resource advisories that I follow during in-between visits. They take all the drama, trauma and pain away from prosthodontics and make it pleasant, effective and affordable.